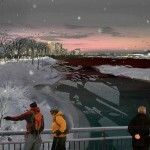 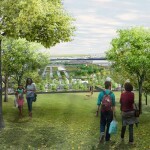 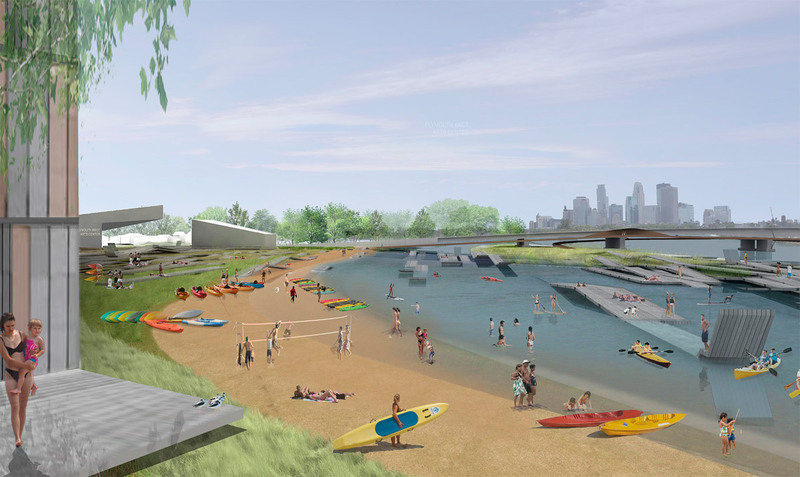 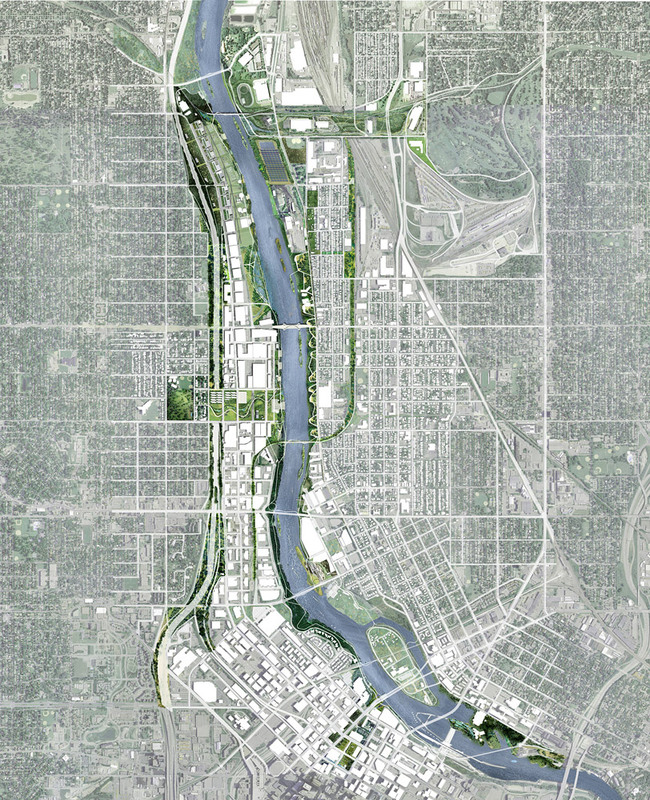 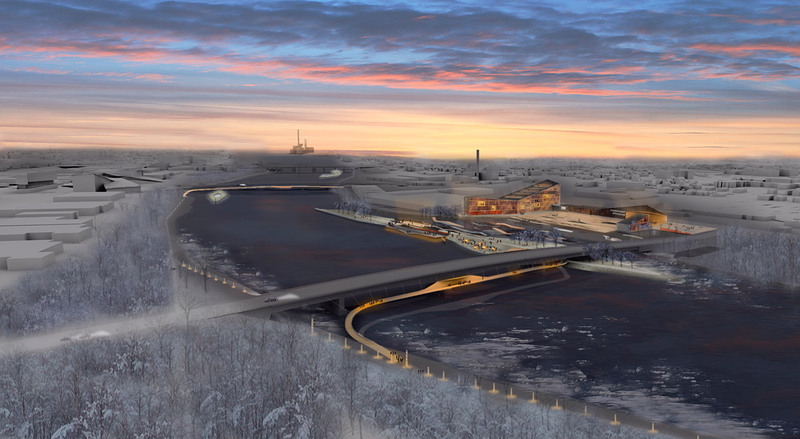 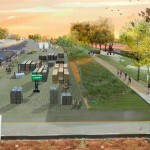 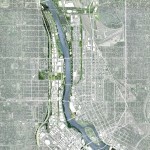 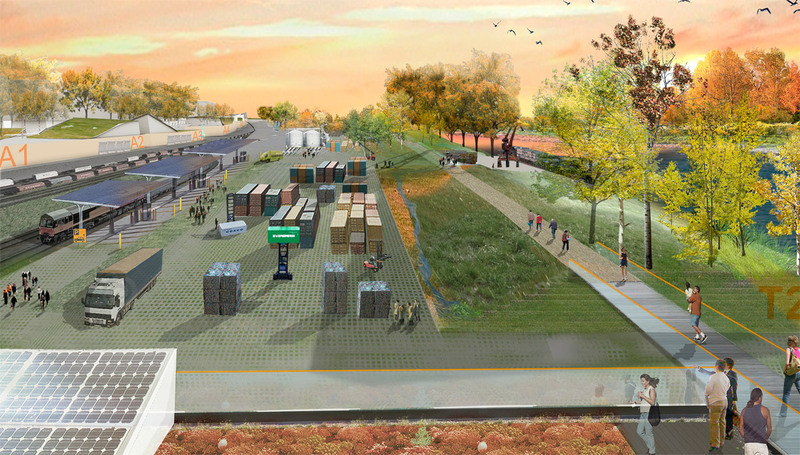 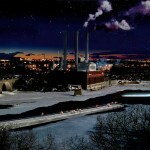 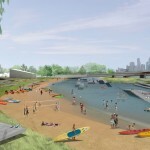 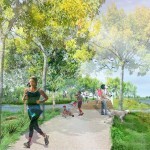 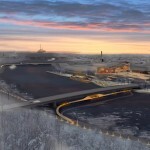 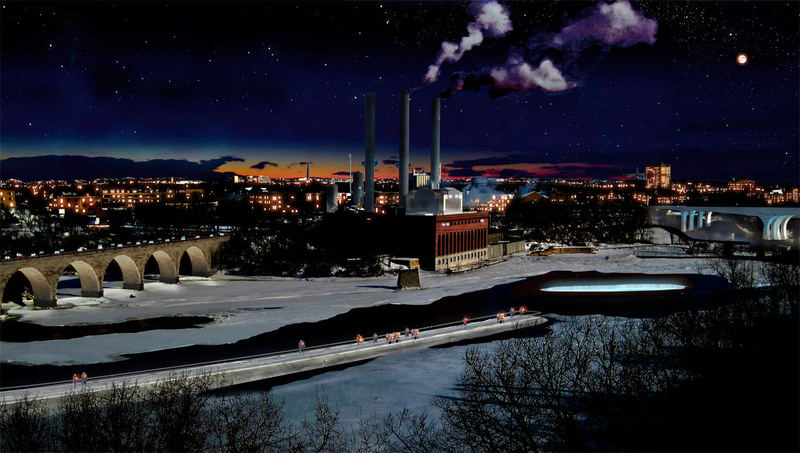 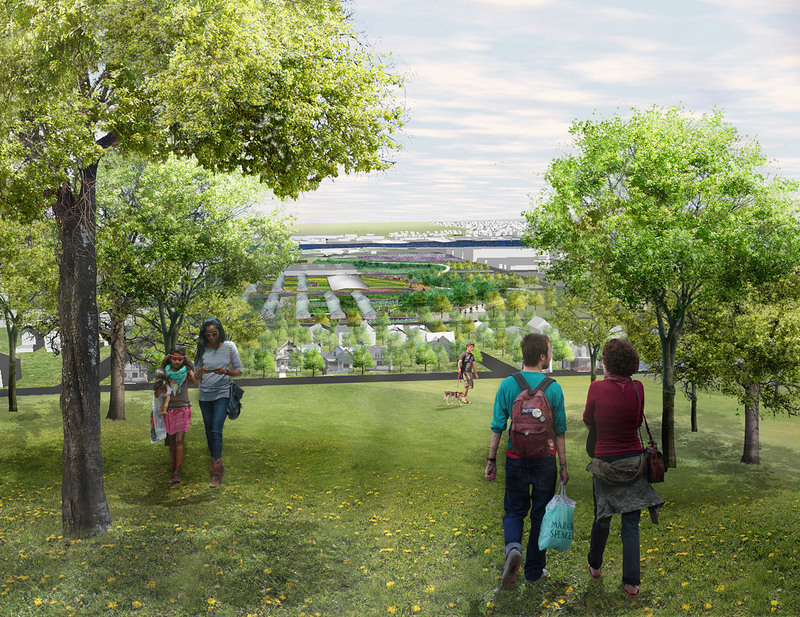 The Berkeley, California and Boston-based team of Tom Leader Studio and Kennedy & Violich Architecture has won a competition for the potential redevelopment 5.5 miles of the Minneapolis Riverfront. 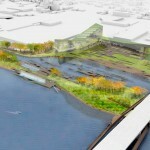 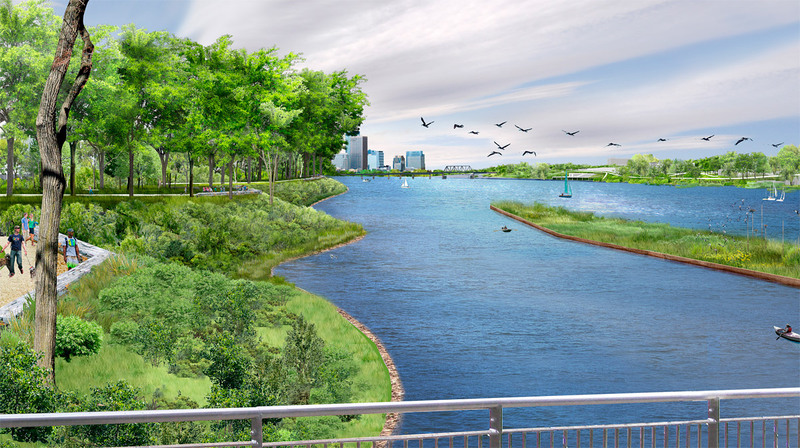 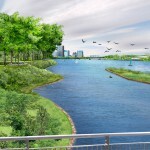 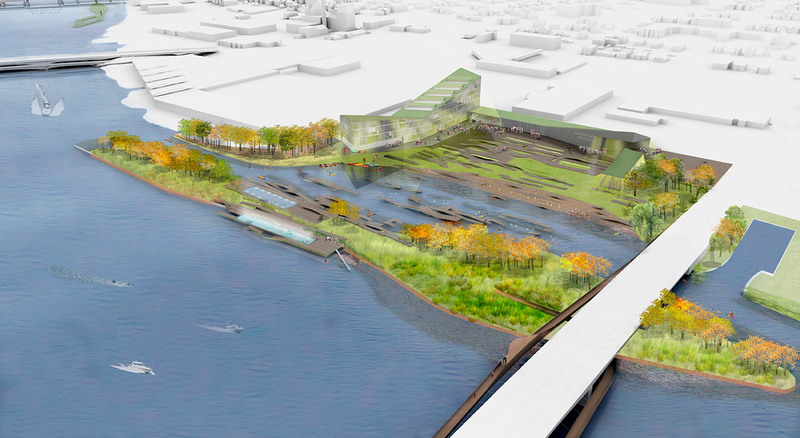 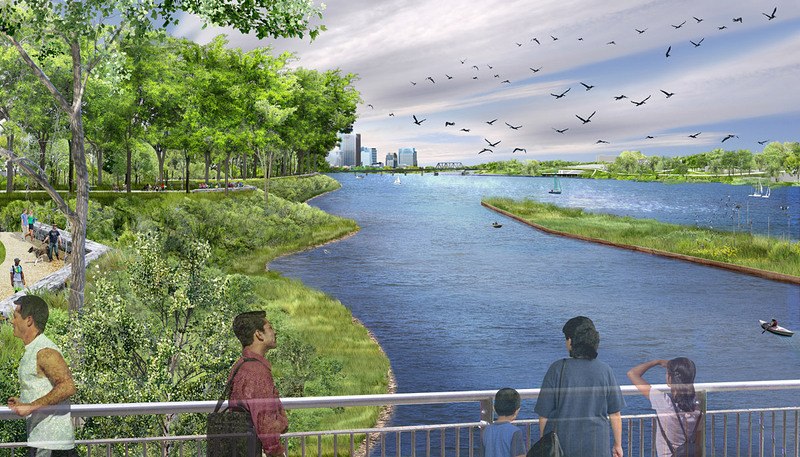 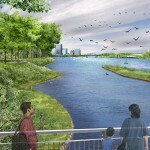 Their proposal, called RiverFIRST bested those by rivals Ken Smith, Stoss Landscape Urbanism, and Turenscape, and includes constructed wetlands for stormwater management, manmade islands for habitat, new districts for green industry among other features. 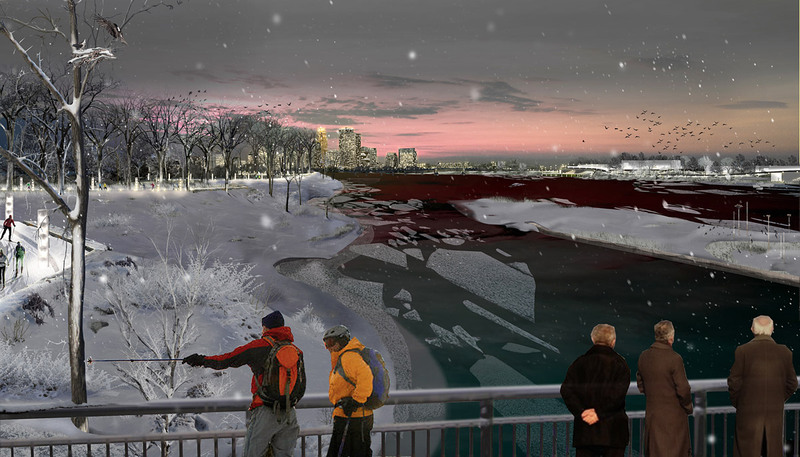 While no specific segment of the plan has yet been identified for development, the team will be given a commission by the Minneapolis Parks and Recreation Board.